This is a portrait of Francis Philippi DeDonder (1883-1931). Francis was born November 8, 1883, the son of Vital (Mar. 8, 1846-Dec. 15, 1928) and Marie Joseph Lobert DeDonder (Mar. 12, 1842-Oct. 12, 1884). The elder DeDonders came to Shawnee County, Kansas, from Belgium. 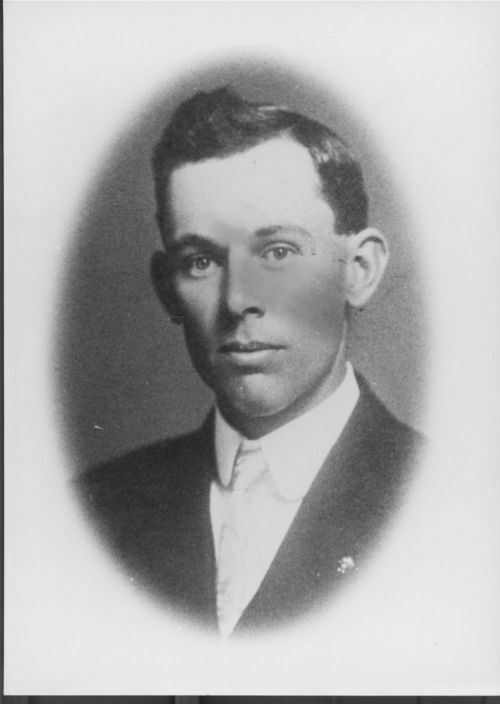 In 1912, Francis and his wife, Anna Marie Germonprez (May 13, 1889-May 29, 1982), took over his father's farm on the Shawnee/Wabaunsee County border, in the area known as "Sandy Hook." Francis died June 27, 1931.